This bench has a contemporary look, with a smooth Distressed Dark Brown finished wood frame, and a luxurious black faux leather chair back and double seat. 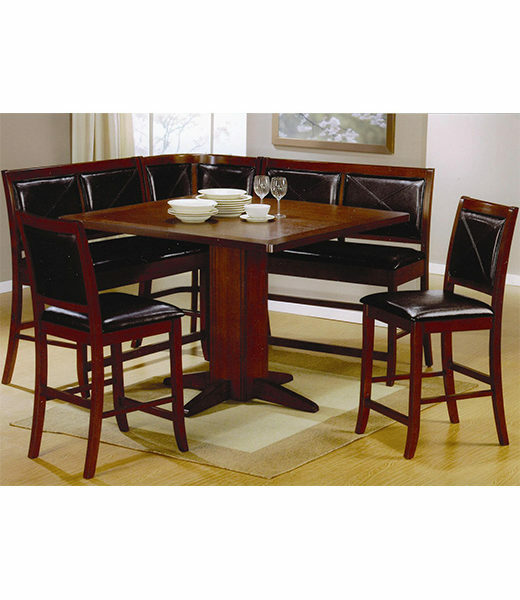 This counter height dining bench will add a nice look to your casual dining and entertainment space. This bench has a contemporary look, with a smooth Distressed Dark Brown finished wood frame, and a luxurious black faux leather chair back and double seat. Square tapered legs and straight stretchers. 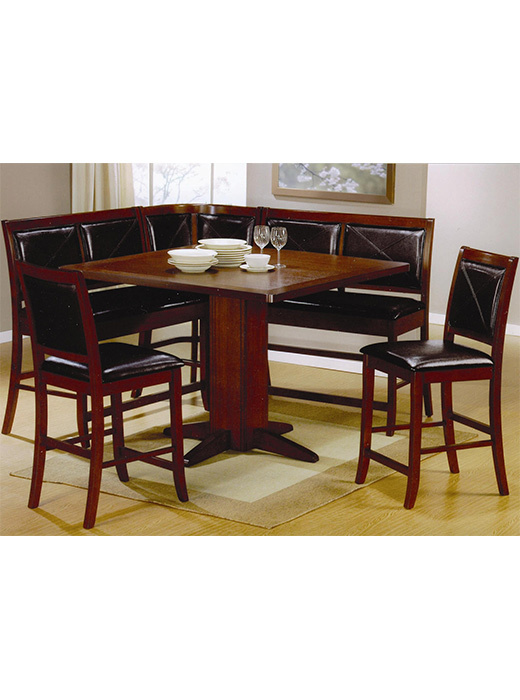 Pair with a matching counter height table for a complete dining ensemble. Mix and match any of the counter height seating options for a set that fits your needs and your space, with luxurious black faux leather seats and backs for a distinctive look. Choose the Lancaster collection for your contemporary home. Finish & Paint Options Distressed Dark Brown wood finish. Construction Constructed of oak hardwood solids and wood veneers.